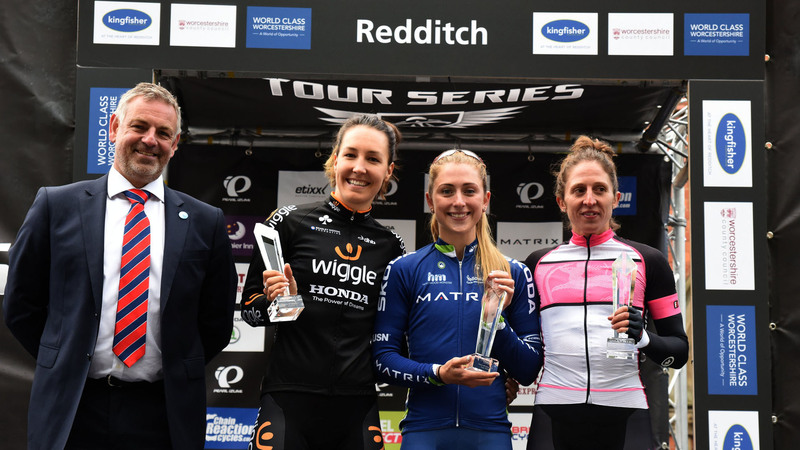 Former UCI Road World Champion Amalie Dideriksen claimed Boels-Dolmans’ first win in the 2018 OVO Energy Women’s Tour by sprinting to victory in Worcester on Saturday afternoon. 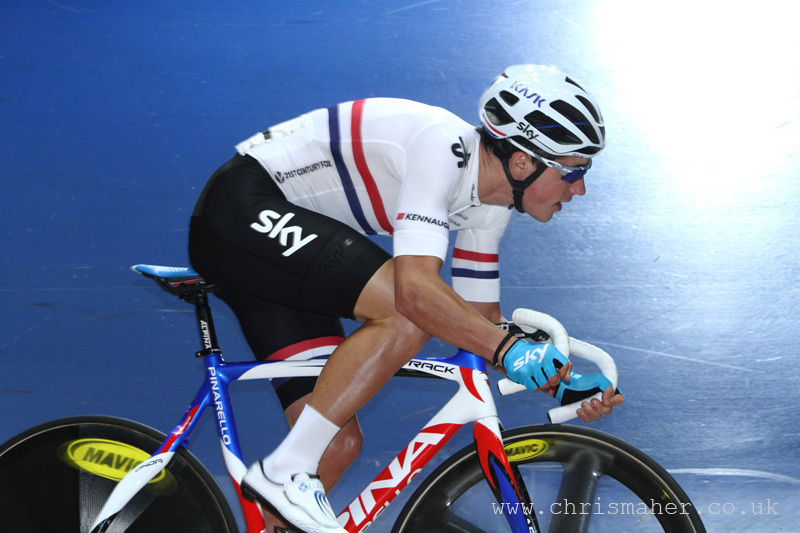 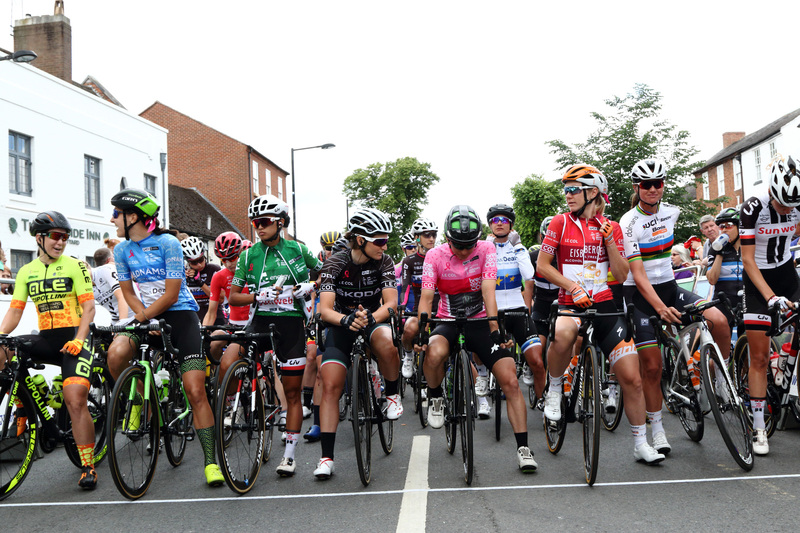 The Danish rider looked in total control along the long finishing straight on Hylton Road, holding off former former stage winners Lotta Lepistö (Cervélo-Bigla), Marianne Vos (WaowDeals Pro Cycling) and Chloe Hosking (Alé Cipollini). 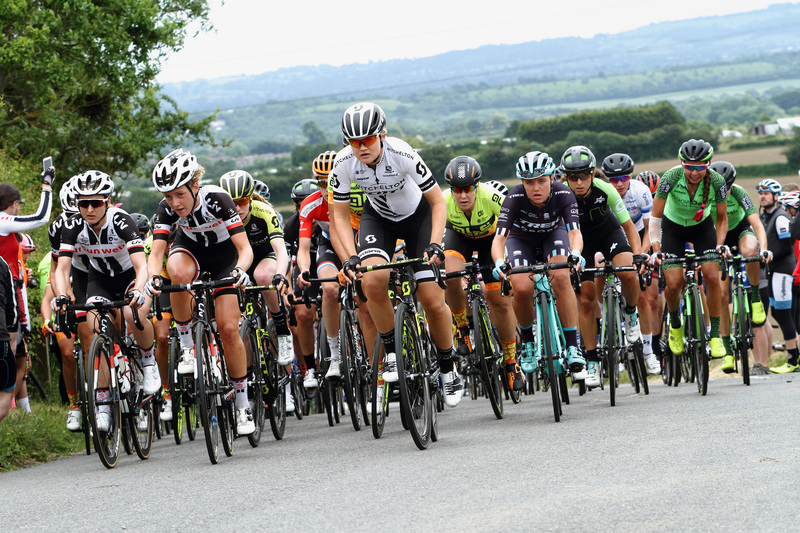 Coryn River (Team Sunweb) picked up more Eisberg sprint bonus seconds along the course, but the four Vos gained at the finish in Worcester saw the Dutch rider cut the gap to just 14 seconds with just tomorrow’s finale between Dolgellau and Colywn Bay. 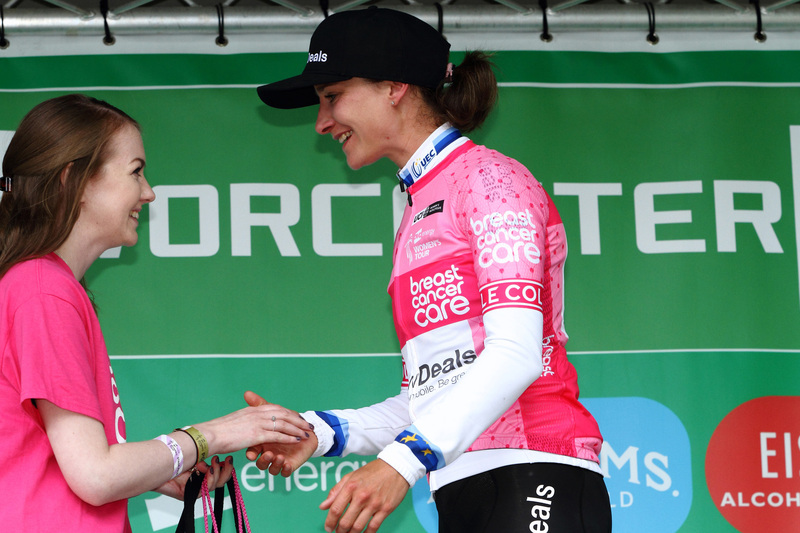 A trio of riders, including Cecilie Uttrup Ludwig – who at one point was the virtual OVO Energy Green Jersey – were eventually caught on the outskirts of Worcester with seven kilometres remaining. 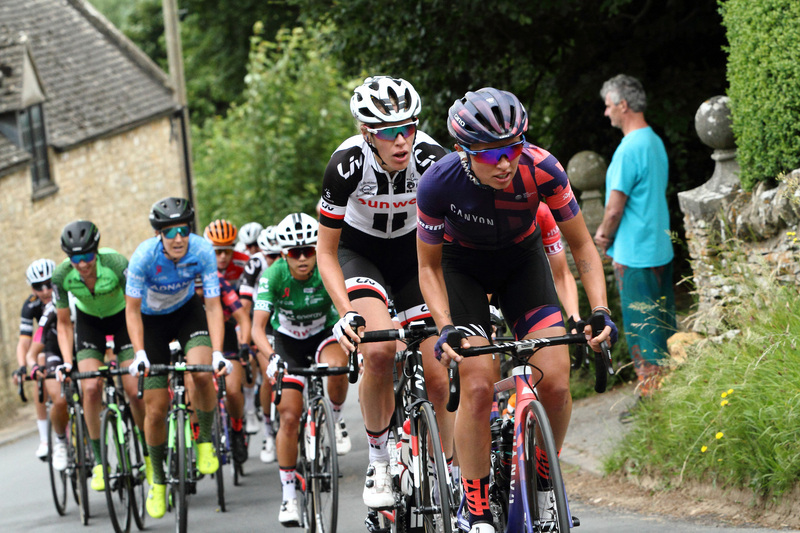 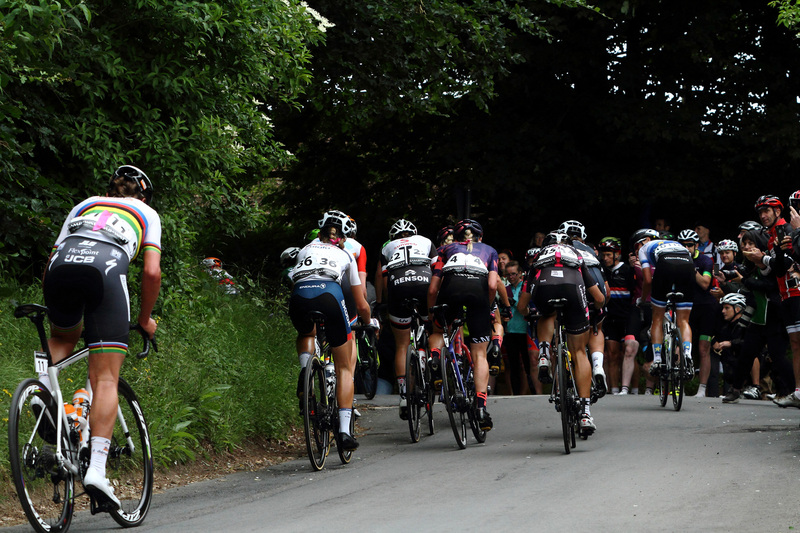 Ludwig (Cervélo-Bigla) and Audrey Cordon Ragot (Wiggle HIGH5) had joined early attacker Charlotte Becker (Hitec Products-BIRK Sport) just after the opening SKODA Queen of the Mountains climb at Snowshill on the edge of the Cotswolds. 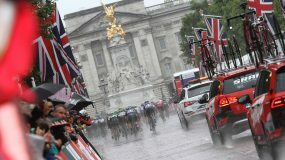 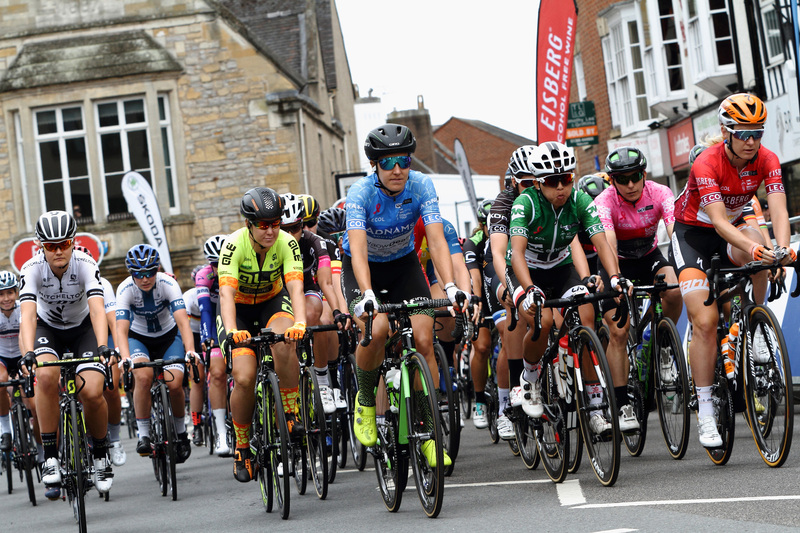 The catch set up a fast finale, with the race heading past the world-famous cathedral and across the Severn, with Dideriksen (Boels Dolmans) sprinting to a clear victory ahead of Lotta Lepsstö (Cervélo-Bigla) and Marianne Vos (WaowDeals Pro Cycling). 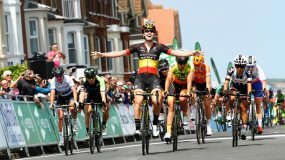 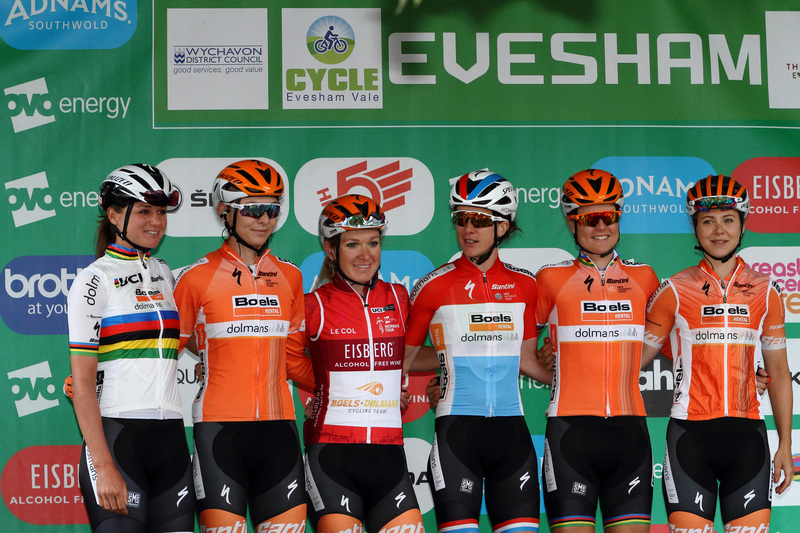 Vos’ third place, and the ensuing time bonus, edged the Dutchwoman a second closer to overall leader Coryn Rivera (Team Sunweb), who retains the OVO Energy Green Jersey for a third day going into the race’s Welsh finale. 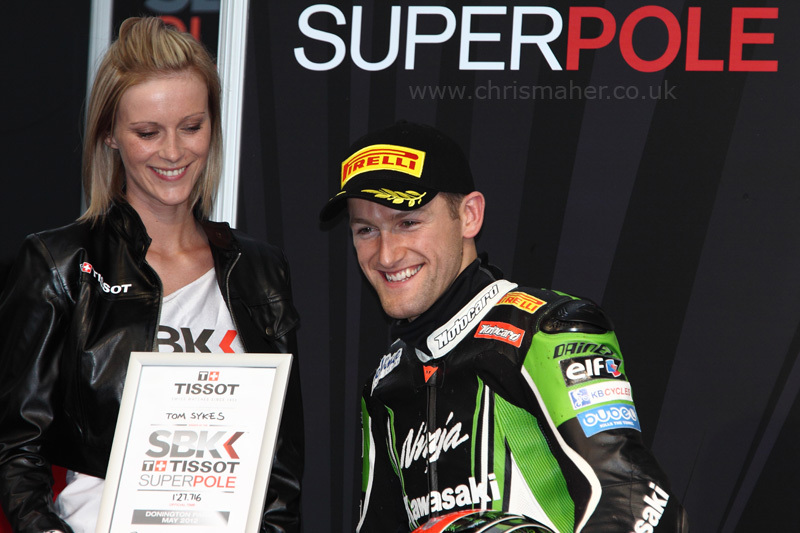 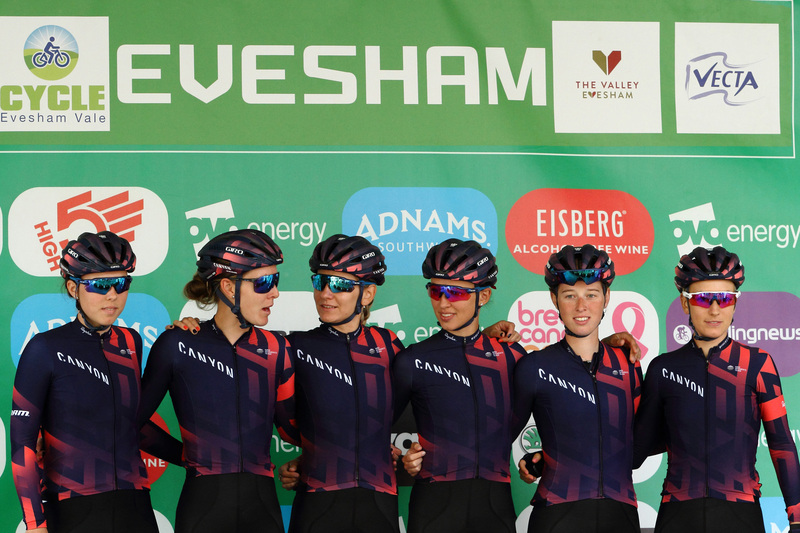 Rivera sits 14 seconds ahead of Vos, with her WaowDeals team-mate and Adnams Best British Rider Dani Rowe third overall at 22 seconds, despite being among a small group of riders caught up in a crash inside the final three kilometres. 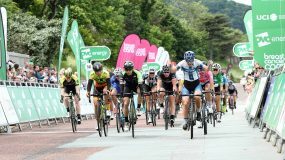 Four further riders sit within 30 seconds of the lead going into the final stage, predicted to be the toughest of the 2018 race as the OVO Energy Women’s Tour heads to North Wales for the first time. 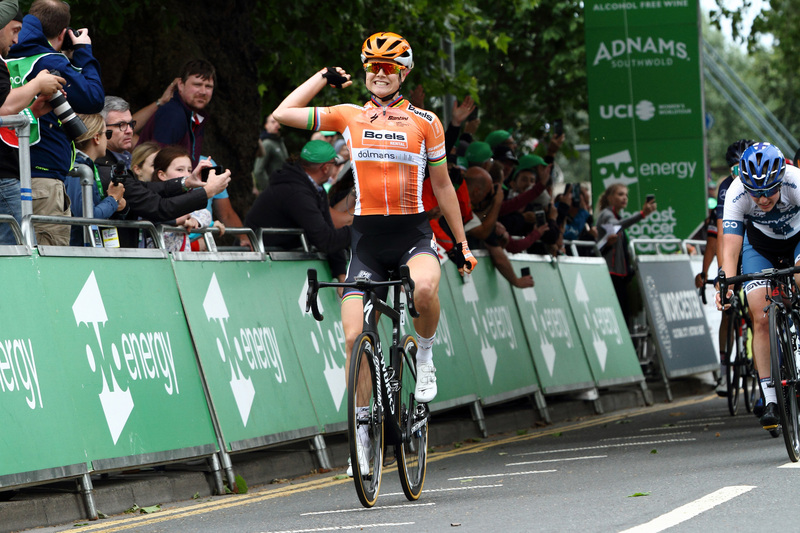 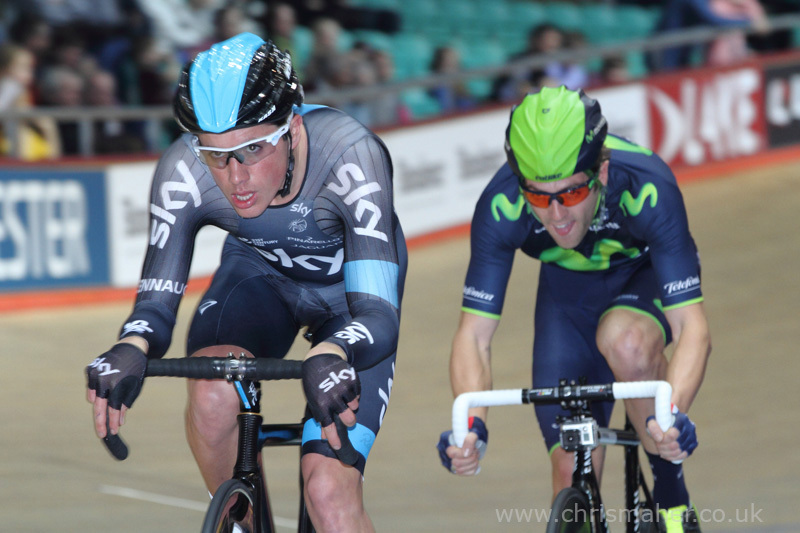 Ludwig, who tried breaking clear from the breakaway group in the closing kilometres, added: “It was a hard day in the office but it was a lot of fun. 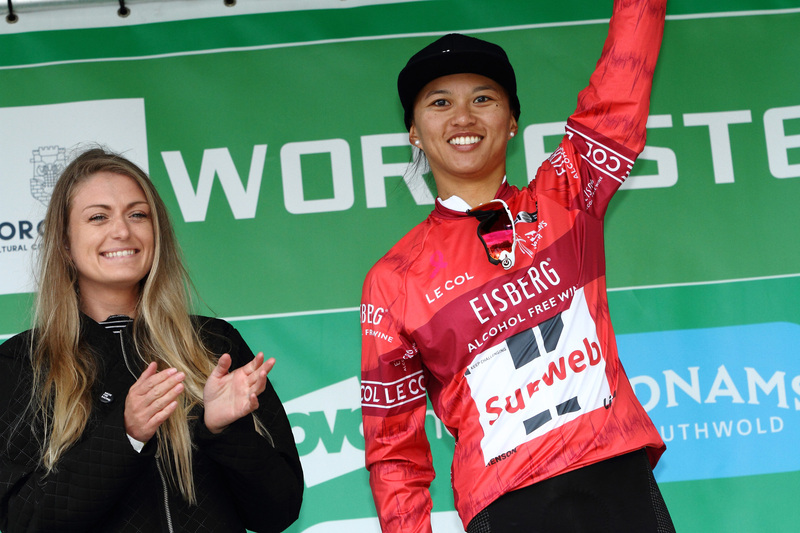 Thanks to her consistent finishing Vos takes over the Breast Cancer Care Points Jersey with a four-point lead over Rivera, with the latter also continuing to lead the Eisberg Sprints Jersey. 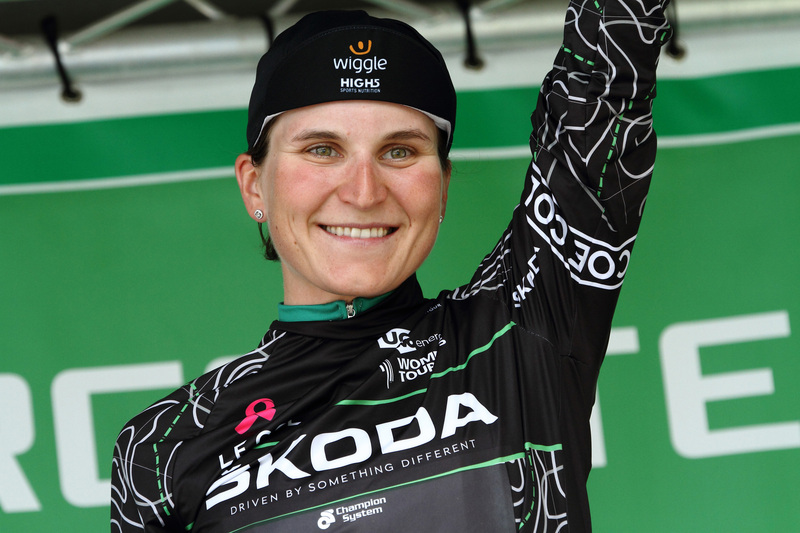 Elisa Longo Borghini (Wlggle HIGH5) holds a 15-point advantage in the SKODA Queen of the Mountains category, and needs just a solitary point from the final stage to claim the climber’s jersey. 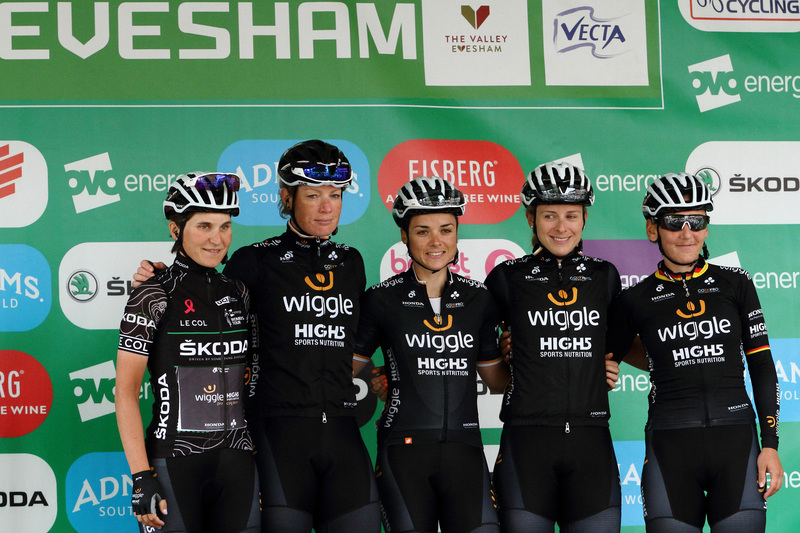 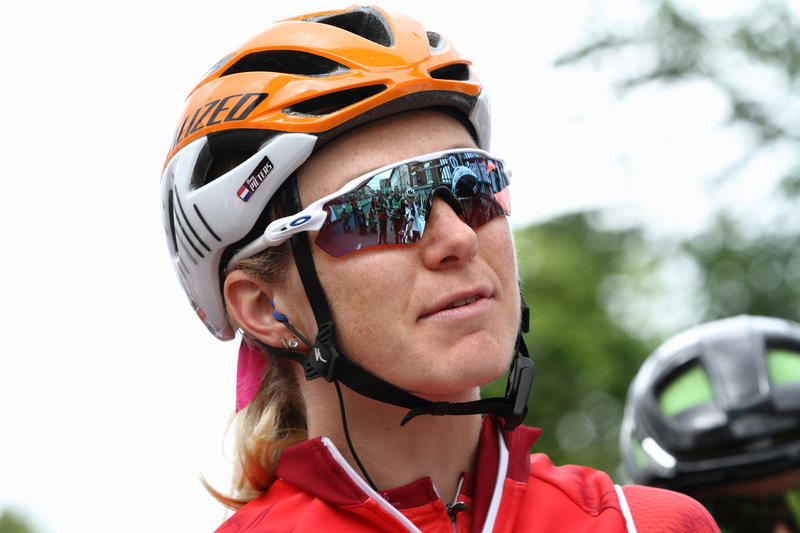 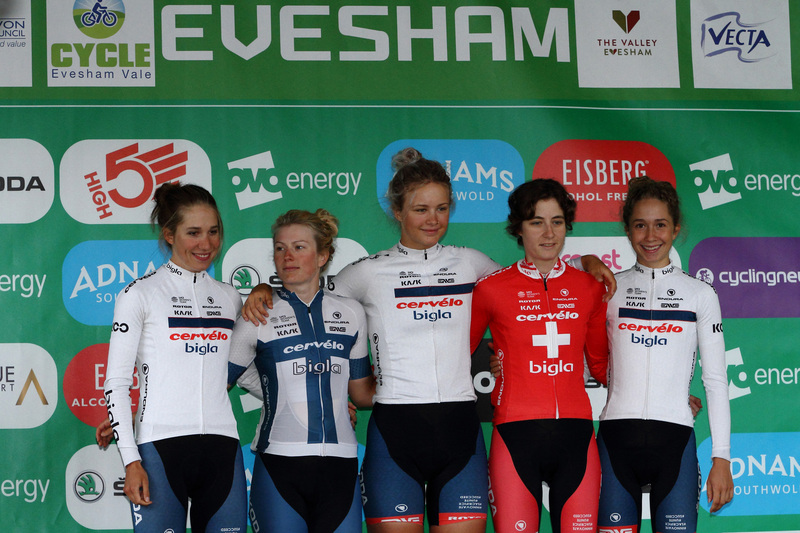 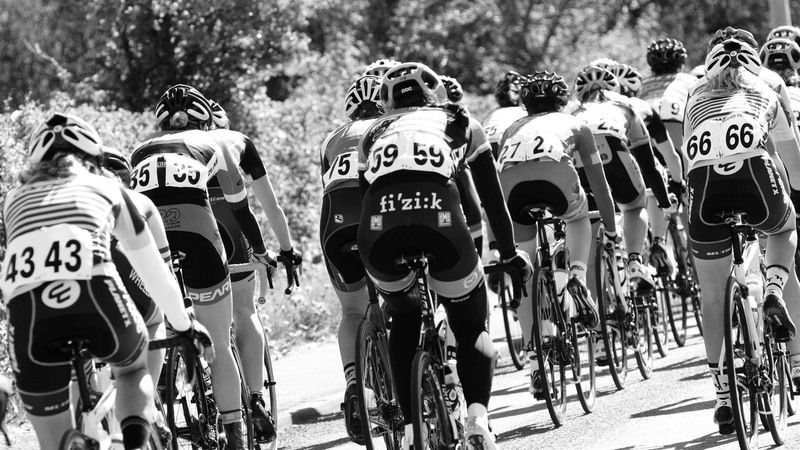 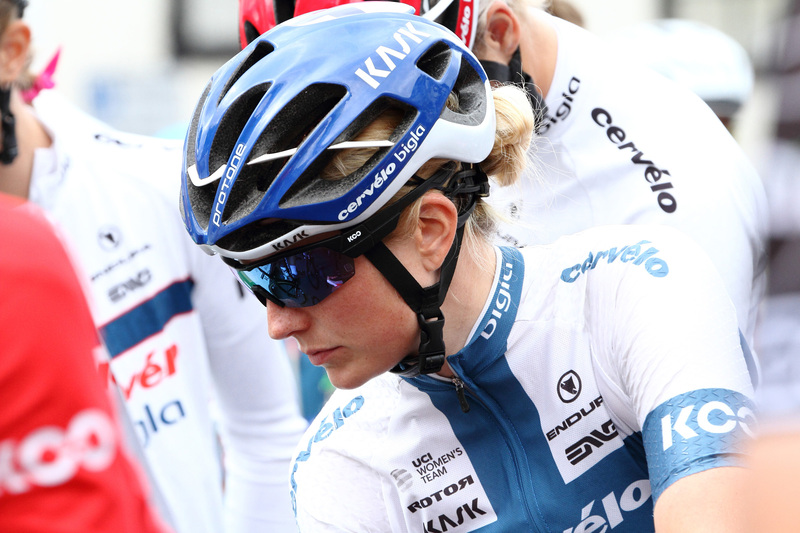 OVO Energy Women’s Tour 2018 | Stage 4 – Evesham to Worcester – Cevelo Bigla with Lotta Lepisto & Cecilie Uttrup Ludwig.